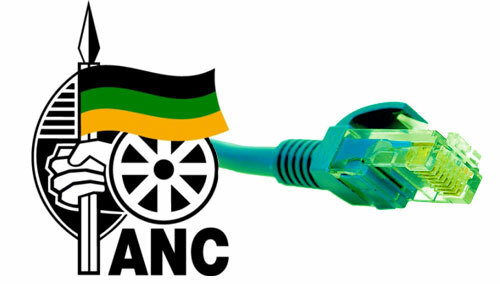 The ANC’s policy discussion document on communications, which was released this week, contains proposals that could result in the rationalising of state institutions that overlap in their mandates. The policy document proposes the merging of Sentech, the state broadcasting signal distributor, with Broadband Infraco, the state broadband infrastructure company, as well as the merging of the Media Development and Diversity Agency with the Universal Service and Access Agency of SA. The merging of Sentech and Infraco seems to be driven by the desire to maximise scarce spectrum. “The government must set aside spectrum for the provisioning of wholesale services or an open-access network by the [merger of]Sentech and Infraco,” states the document. Lumko Mtimde, a member of the ANC’s task team set up by its subcommittee on communication and chief executive of the Media Development and Diversity Agency, agreed to comment on the policy discussion document in his personal capacity. He made it clear that his views did not represent the ANC, the state broadcaster or the agency. He is also an SABC board member. Regarding the merging of Sentech and Infraco, Mtimde said the proposal was based on the need to rationalise state institutions to avoid duplication, overlaps and unnecessary competition in state organs. When the Mail & Guardian pointed out that neither institution had a great track record of late, he said: “It is not a response to the organisational challenges you are referring to, or intended to fix those problems, as you suggest. “The merger is intended to maximise the value of scarce or high-demand spectrum. This will assist in ensuring modern communication services are available to all, including government departments, municipalities, rural schools, hospitals, rural clinics, police stations, courts and so forth. It will ensure that they are connected and can provide e-services to the people of SA. A few years ago, Sentech was in such dire straits that it had to be rescued and loss-making ventures, such as its wireless broadband business, were shut down. Infraco, the brainchild of former public enterprises minister Alec Erwin, was meant to solve SA’s high broadband pricing by creating a national backbone that could be made available to all at cost-based pricing, but it has had little measurable impact.